These designer steel lockers are built to last and feature cool colours that kids and teens will love. Great for storing school supplies, books, back packs, clothes, shoes and much more. All lockers are Greenguard Certified. 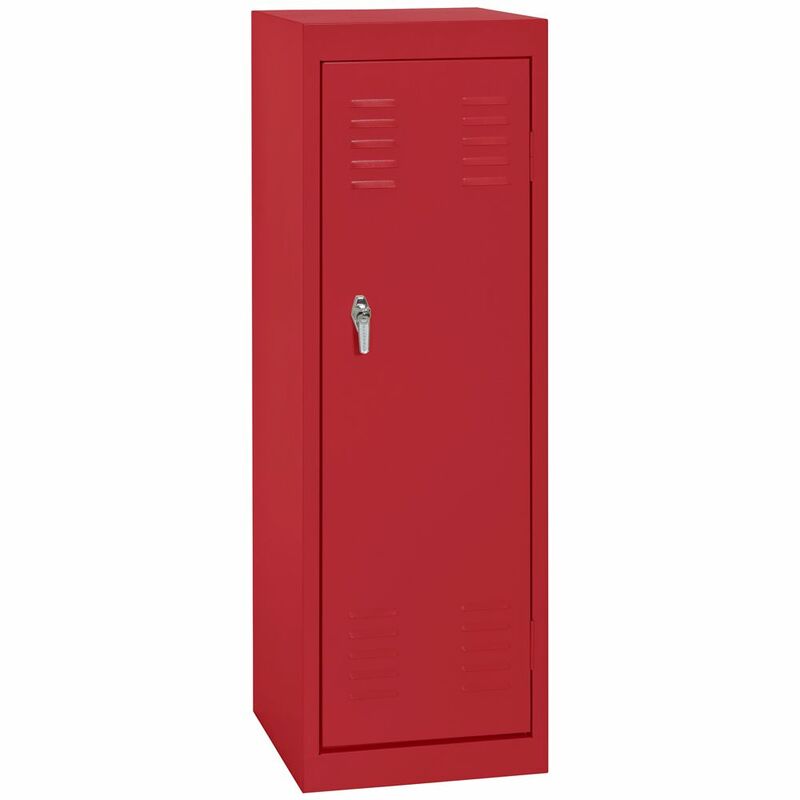 15 Inch L x 15 Inch D x 48 Inch H Single Tier Welded Steel Locker in Fire Engine Red These designer steel lockers are built to last and feature cool colours that kids and teens will love. Great for storing school supplies, books, back packs, clothes, shoes and much more. All lockers are Greenguard Certified.